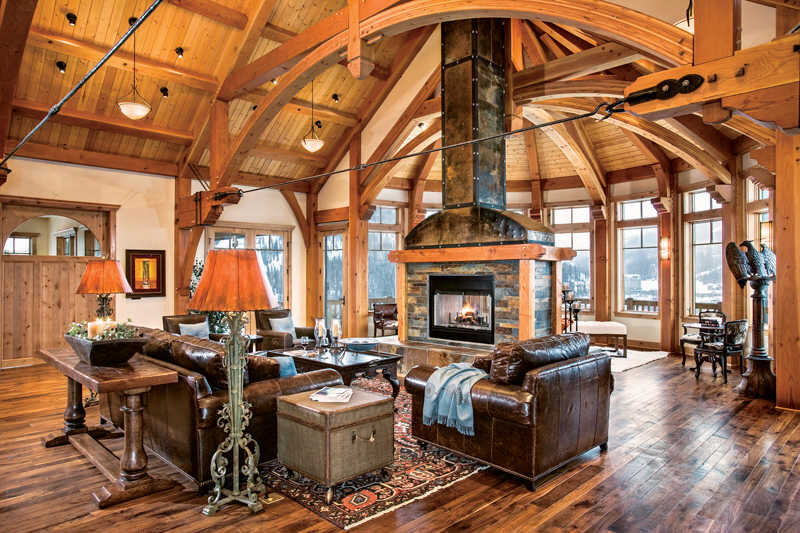 Transform each room in your timber house using the secrets of good lighting. Before lighting a room, consider how you’ll use the space. Will the room get most of its use during the daytime hours or in the evening? What activities will take place there, and in what parts of the room? For example, if you plan on using the space as a reading area, you’ll want to provide lamps beside each reading spot. If the room is going to be a space for watching TV, you’ll want overall illumination that can be adjusted to different settings, with light sources that won’t reflect on the screen. If the room will be used for specific tasks or hobbies; moving from place to place; or by older family and friends, you’ll want lighting that’s bright and uniform. If the space is used mostly for relaxation, take the illumination down to increase ambiance. Next, consider the room’s style. If the decor is contemporary or modern, think about using fewer lamps and more built-in lighting, such as overhead cans, track lighting or sleek sconces. If the style is more traditional, pendant lights and table lamps can provide illumination and enhance the look you’re trying to achieve. Hang chandeliers about 30 inches above dining tables for optimum visual comfort. 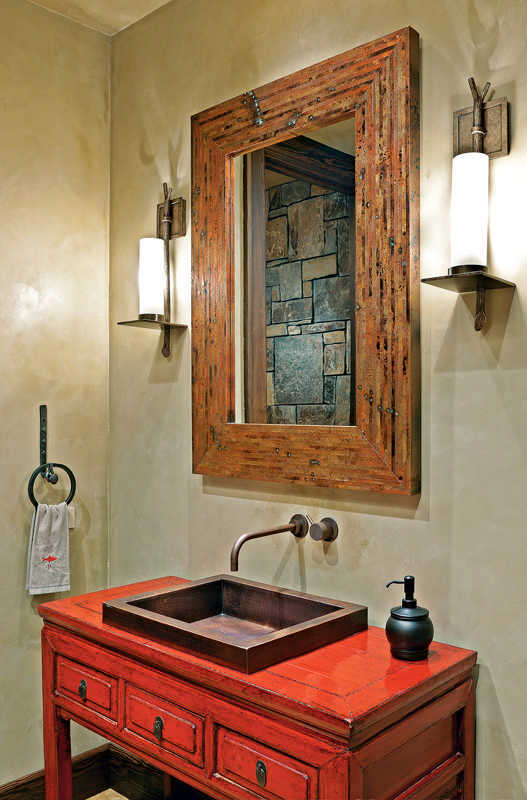 Install wall sconces 5½ feet above the finished floor or 15–18 inches above a mantel. Wall-mounted lights flanking a bed should be placed 21 inches above the top of the mattress or 42 inches above the finished floor. 1. Ambient light is lighting that provides overall illumination for a room. Ambient light can come from ceiling fixtures, recessed cans, torchieres or sconces. The light should illuminate the space fairly evenly and be bright enough for cleaning and other daily tasks. To determine the amount of ambient light you’ll need, a good rule of thumb is to multiply the room’s dimensions to get a total square footage, then multiply that number by 1.5. That will give you the total number of watts needed. For example, a 10-by-12-foot room totals 120 square feet. 120 x 1.5 = 180, so you’ll need 180 watts of ambient light. 2. Task lighting illuminates areas for activities such as reading or cooking. It most often comes from a lamp or hanging fixture. Task lighting should cast a pool of light that’s at least double the room’s ambient light, and should usually be placed in front of the person performing the task to prevent his or her body from casting a shadow over the work surface. So, for cooking, for instance, the light source should be located above and in front of the person. A three-way bulb that tops out at 150 watts is ideal. If that’s not possible, look for a fixture that will accommodate a 100-watt bulb or two 60-watt bulbs. The bottom of the shade should be at eye level to prevent glare. 3. Accent lighting highlights specific features in a room, such as an architectural element or a work of art. 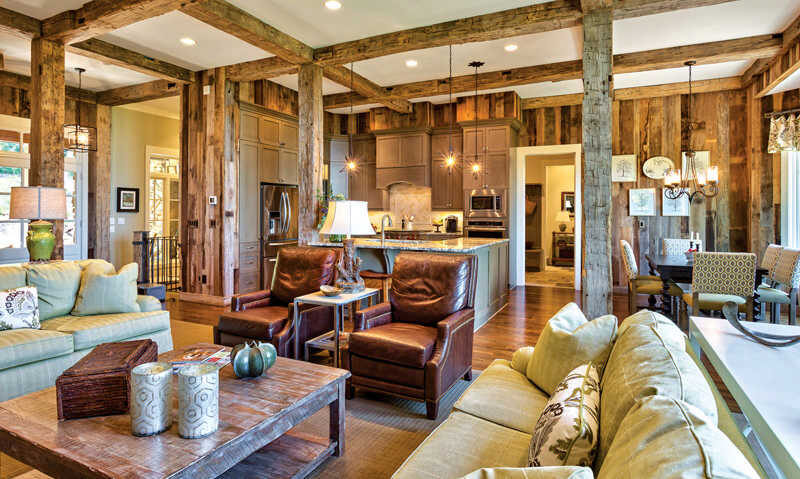 (In a timber home, accent lights are a great way to showcase the structural frame and beams.) It’s usually produced by track lights, a directional recessed can or a spotlight. Highlight a painting by placing a wall-mounted “art” light above it, or spotlight a decorative mantel with a track light or directional can light. Showcase the texture of a masonry wall by installing recessed wall washers above it, or place an uplight behind a plant to accentuate its form or cast pleasing shadows. Lighting placement, fixtures and function are the three main considerations to think about when giving your living space a light makeover. So if you’re wondering if it’s time for an update, ask yourself these questions. 1. Am I lighting unexpected places? As you evaluate the status of your home’s lighting, keep in mind that lighting also helps to define your style, set the mood and perform practical tasks. 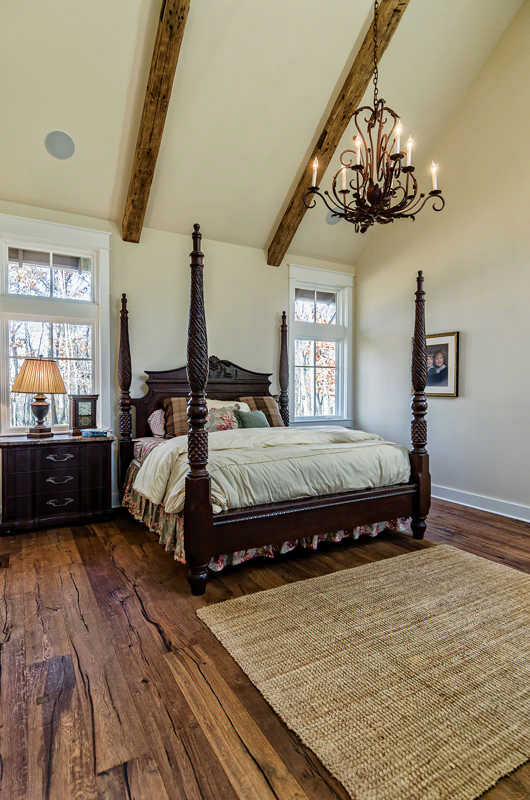 Think of adding light in unexpected places, such as a chandelier in the master bedroom (as shown above). And consider using light in unconventional ways — such as using hanging pendant lights as reading lamps. 2. Do my lights dim? Good lighting should multitask and set the mood. A dimmer is an inexpensive and essential tool that puts you in control of the quality and quantity of light. You can install a dimming system either as a whole-house lighting control or by adding a wall box dimmer in each room. The American Lighting Association (ALA) states that a dimmer switch saves $30 a year in utility costs. Before installing a dimmer, make sure you have dimmer bulbs. 3. Do my fixtures reflect current styles? One of the quickest ways to update the look of a living space is to swap decorative lighting fixtures for more up-to-date styles. While an old ceiling fan with a light fixture might look a bit dated, you could replace the fixture with an eye-catching chandelier. Also, don’t be afraid to mix and match lighting styles. They don’t have to be from the same lighting family or design, and they can be transitional, which means they blend well with different aesthetics. 4. Is my lighting focused? Lighting design is all about the strategic placement of light and matching the perfect light source to its intended function. Indirect lighting pulls focus, adds texture and layers the sight line. Pick focal points that you want to highlight, then direct a light source toward them.